We are manufacturers ANCHOR™ Brand HDPE Tarpaulin and authorized distributors of RAINPAULIN ISI: 7903/2011 HDPE Tarpaulins. High Density Polyethylene Tarpaulins are made from premium quality woven HDPE fabric laminated with LDPE sheets on both sides. These types of tarpaulins are very rugged and are most suited for applications where there is a great deal of wear and tear. • 100% waterproof, leak proof, weatherproof, oil proof and rot proof. • Heat sealed hemmings with strong joints; no stiches. • Protective UV stabilized on both sides and fire retardent. • Resistant to Stains Acids, Alkalis and most Chemicals. • High tensile strength, Light weight and easily repairable. 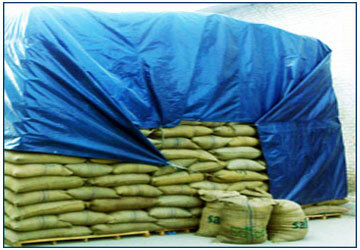 • Protection for all types of products during monsoon. • Used extensively for coving wood, manchineries, trucks and grass covers. 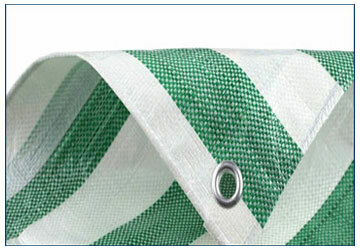 • Applications in pond liners and construction sites. 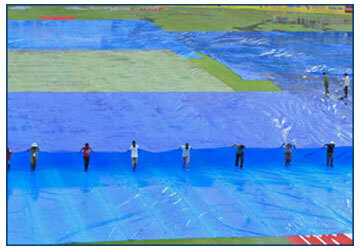 • Used as floor speads and to cover sports grounds. 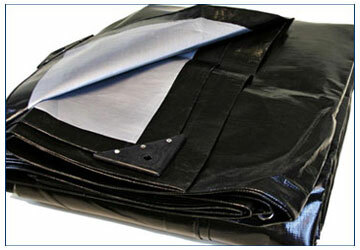 The HDPE fabric is laminated with LDPE sheets on both sides that act as the water proofing agent for HDPE tarpaulins. The ends sides are hemmed by heat sealing and eyelets are fixed at approximate interval 3 feet. A border is made and a rope is provided along the border to provided strength. 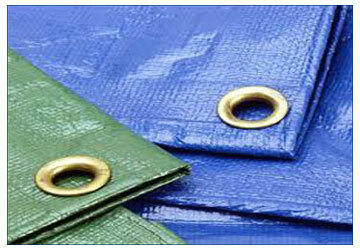 Anchor range includes IS:7903 Tarpaulins, in attractive colors, standard and custom-made sizes.